Informative flyers about new AK Releases! 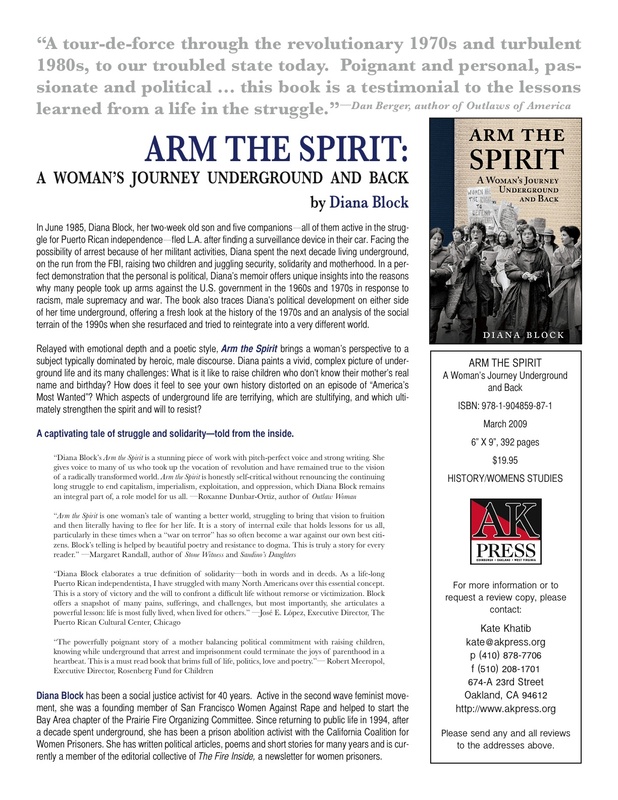 Arm the Spirit: A Woman’s Journey Underground and Back by Dianna BlockTo learn about this title, download a printable flyer in PDF format or read about it in the AK catalog. 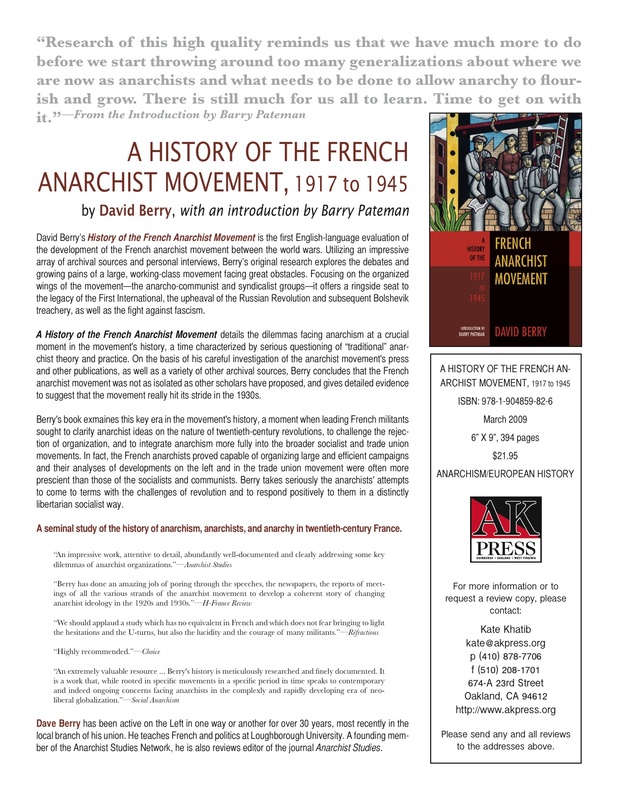 A History of the French Anarchist Movement, 1917 to 1945 by David BerryTo learn about this title, download a printable flyer in PDF format or read about it in the AK catalog. 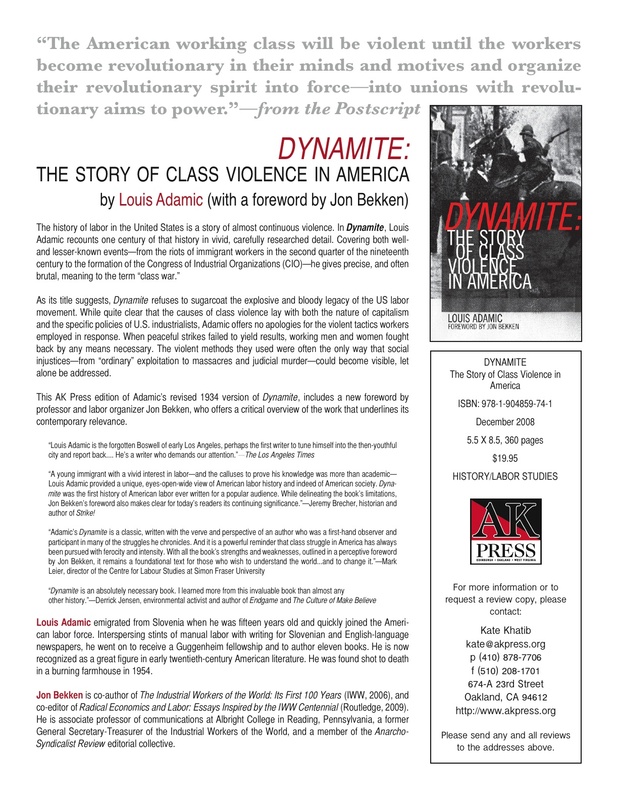 Dynamite: A Century Of Class Violence In America by Louis Adamic To learn about this title, download a printable flyer in PDF format or read about it in the AK catalog. 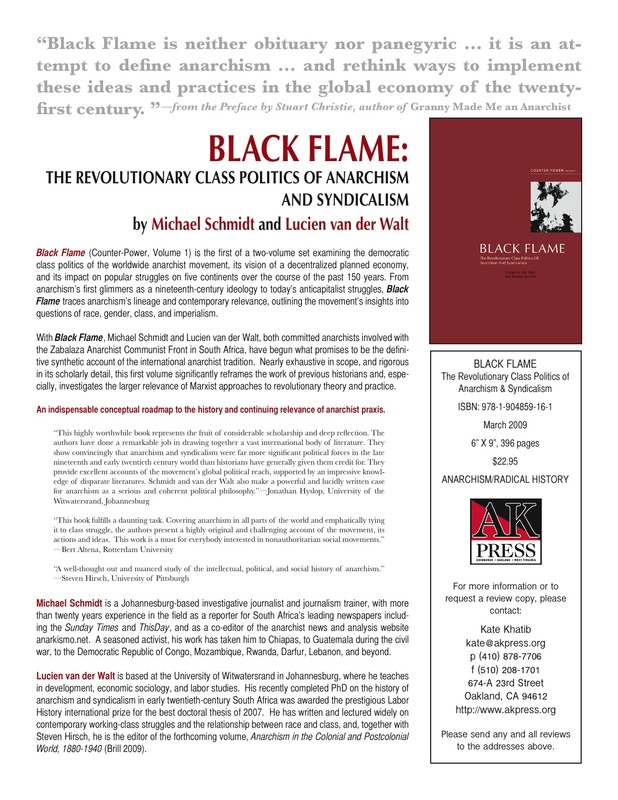 Black Flame: The Revolutionary Class Politics of Anarchism and Syndicalism, CounterPower Vol. I by Michael Schmidt and Lucien van der WaltTo learn about this title, download a printable flyer in PDF format or read about it in the AK catalog. 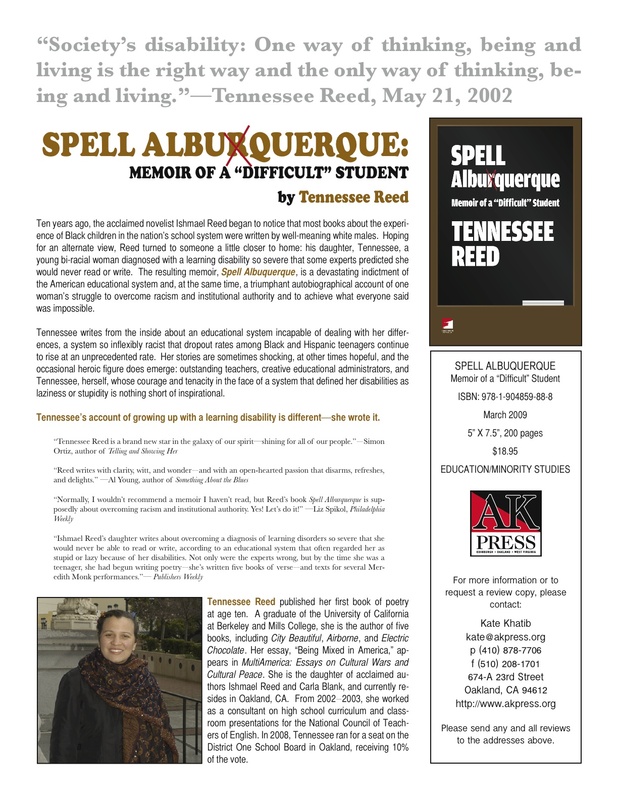 Spell Albuquerque: Memoir of a “Difficult Student” by Tennessee ReedTo learn about this title, download a printable flyer in PDF format or read about it in the AK catalog.